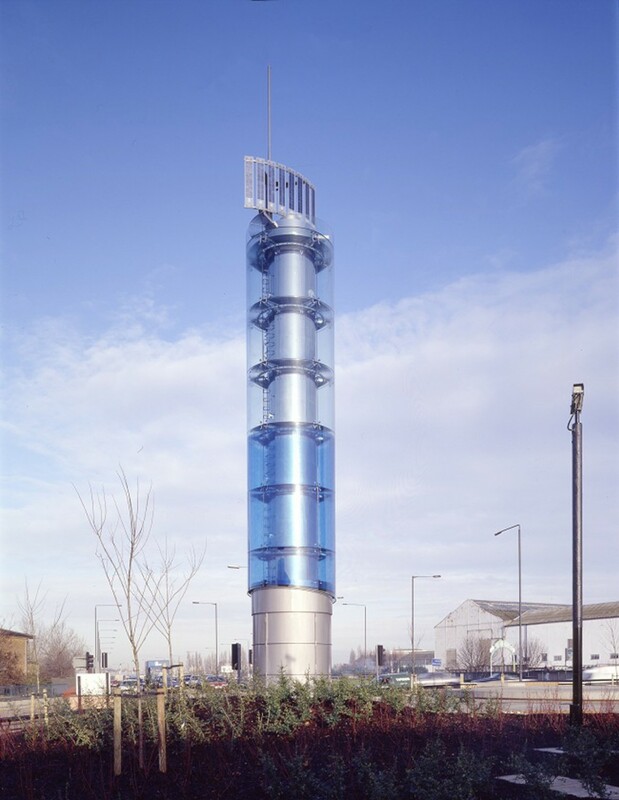 This innovative tower of glass and stainless steel was built primarily for the essential function of housing a surge pipe on Thames Water's ring main: an unseen marvel of hydro engineering serving all of London. 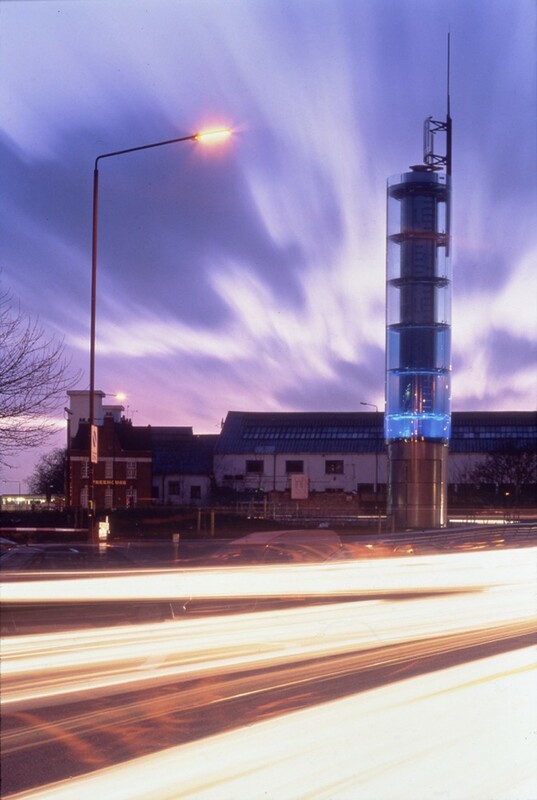 It’s other function is as an amplified electronic barometer, forecasting the weather to the passing traffic and acting as an important local landmark within the public realm. The project was realised through the research and application of new technologies. 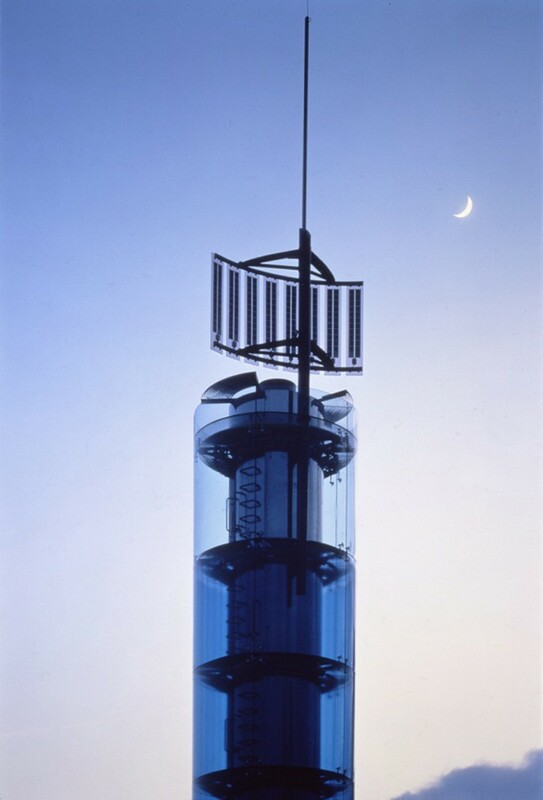 Polycrystalline solar cells form the projecting vane and generate energy to power the barometer’s pumps. When the weather is ‘fine’ water is pumped up to high level, and then runs down within the glazing, but when the weather is ‘bad’ the water stays at a lower level. All water is fully recycled within the tower which is a prototype for an environmentally responsive building.